The bank has its services available in 15 locations in Djibouti and is targeting to have a more physical presence in the country and venture into Ethiopia, and other Eastern African countries. 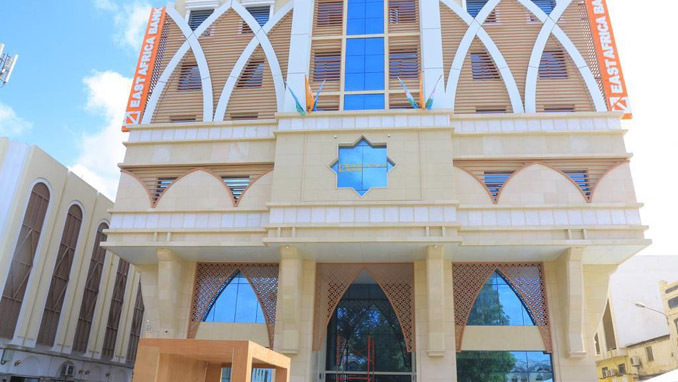 As part of the long term expansion plan, the bank which is a subsidiary of Dahabshiil Group has built a new headquarters in Djibouti City complete with new banking halls to serve an ever-increasing client base. Dahabshiil has a presence in Africa, the Middle East, America, and Australia. The new facility targets corporate customers. “The (EAB) bank has already created jobs for our young professionals, it is reaching out to the unbanked and we are looking forward for more people being integrated in the formal banking system,” said the President. On the back of an increase in Foreign Direct Investment (FDI) in infrastructure projects and the regional trade, Djibouti’s banking sector has leveraged on these developments, experiencing rapid expansion in recent years. The most visible change has been the increase in the number of players in the market, rolling out products and services targeting local clients. The East Africa Bank leads in this direction. This is a key aspect of the government’s drive to make Djibouti a bigger financial hub for capital inflows into and out of neighboring Ethiopia with its 110m population, Somali regions, Kenya, Uganda, Tanzania and beyond. Djibouti is trying to capitalize on its strategic location, ambitious to transform its port of into the largest and most competitive transshipment hub for the Common Market for Eastern and Southern Africa (COMESA). “We at EAB are committed to serving a large number of traders, investors, and corporations operating in Djibouti, Ethiopia and beyond,” Jaffer said. But East Africa Bank, according to the Dahabshiil Group CEO wants to catalyze change from cash society to the widespread use of the banking services it offers.